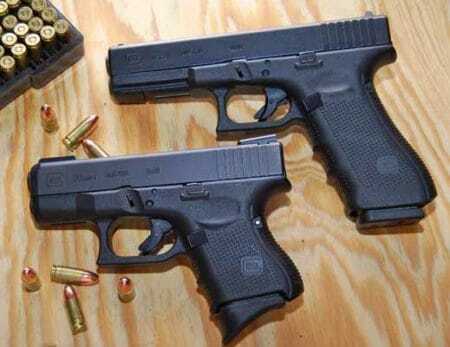 Glock 19 vs Glock 26 – Which Should You Choose? The Glock pistols are something everyone must have already heard of. Glock is famous thanks to its long history of delivering reliability, security and safety. And, there’s a long list of Glock options out there. So it’s no wonder why it might seem difficult to make a choice and purchase the right one. Well, we have great news for those that are finding it hard to decide between the Glock 19 and the Glock 26. Essentially, with these two weapons, the choice comes down to their size. We pieced together this short article that covers some of the main similarities and differences between the Glock 19 and the Glock 26. 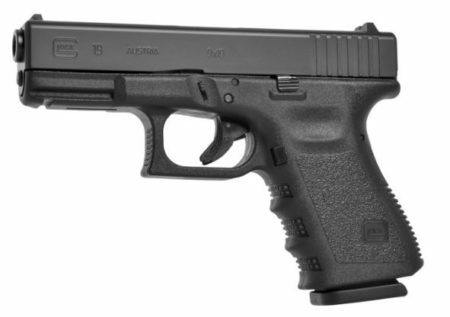 The Glock 19, chambered in a 9-millimeter Luger is a very convenient and compact firearm. What makes it special is its compact frame that is extremely versatile. Basically, with this weapon, we receive a combination of a great magazine capacity and a reduced size. Not only can it be used as a conventional service gun, but it is also ideal as a backup pistol. Also, we can easily use it for concealed carry purposes. 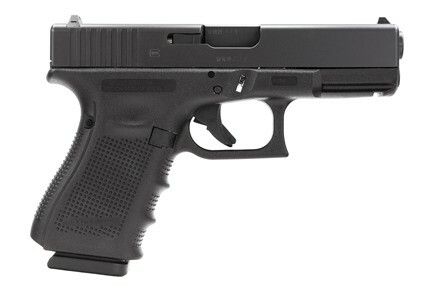 When it comes to its measures, the Glock 19 goes 7.36 inches in length and has a barrel 4.01 inches long. It’s 4.99 inches tall and 1.18 inches wide. Its weight is quite impressive, as it’s extremely light and weighs slightly above 23 ounces when it’s not loaded. When it comes to its magazine capacity, it’s 15+1. However, if that’s not satisfactory enough for some, there are extended mags that should suffice. The Glock 19 boasts with all the features that every single Glock pistol has. Therefore, we won’t go over that in detail. 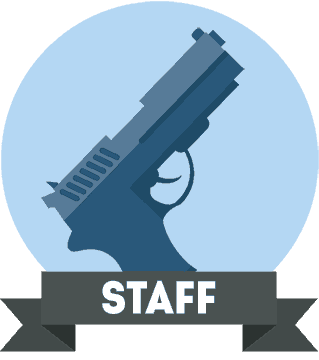 We all know that Glocks are highly durable, reliable, and easily modifiable. In addition to that, they are very lightweight and compact, and the number of internal parts that can break is rather small. It’s needless to say that with the Glock 19 these are all the benefits we’ll be getting. However, the list of pros doesn’t end there. In fact, as we mentioned earlier, despite its tiny size, the Glock 19 is a weapon that comes with an incredible magazine capacity. That’s why it is known for its versatility. The Glock 19 is perfect for those looking for a concealed carry and those that need a weapon for home defense. All in all, the Glock 19 brings a lot to the table as it is reliable and easy to use. When it comes to its price, this weapon doesn’t cost much and you can find it for $450 to $600 (depending on where we buy it and other circumstances). The Glock 26, which goes by as “Baby Glock”, is a subcompact 9-millimeter weapon. This pistol has been around for a while now and it is quite popular. Its primary purpose is for concealed carry given the compact size and extremely light weight. The Baby Glock has a 3.42-inch barrel and is 6.41 inches long. It is 1.18 inches wide and 4.17 inches tall. 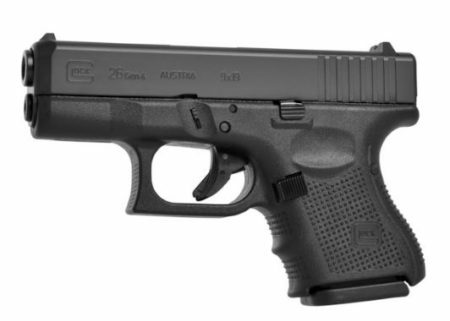 As far as the weight goes, the Glock 26 weighs slightly over 21 ounces. Also, when it comes to the magazine capacity, the Baby Glock has a standard one of 10+1. We can immediately notice that the frame of the Glock 26 is way smaller than the Glock 19. It’s important to note that the Baby Glock is compatible with both Glock 17 and Glock 19 magazines. That way, we can have an increased capacity by just switching from one magazine to another. In fact, it’s quite common that people carry the Glock 26 while using a magazine from the Glock 19. 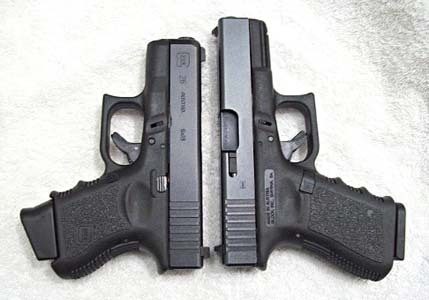 Basically, the Glock 19 and the Glock 26 are very similar to one another when it comes to everything besides their size. Therefore, we recommend trying them both to decide which one is more suitable for yourself. Let’s get into why one Glock might be better than the other and try to make your decision somewhat easier. Well, first and foremost, we must note that the Glock 19 brings way more versatility to the table than the Glock 26. Thanks to the added magazine capacity, we can easily carry the Glock 19 with us but also use it as a home defense weapon. The Glock 26 was made for concealed carry. Nevertheless, the Glock 19 is still among the most popular carry guns of all time. In addition, it is just as easy to conceal the Glock 19 as it is to do the Glock 26. As far as shooting goes, the Glock 26 might be slightly difficult to shoot due to its not-so-ergonomic grip. Also, the chances are we will have to reset the grip after every single shot, as there’s not much space to hold onto. To be fair, no matter which pistol we pick from these two, bottom line is we’re getting a solid weapon. They are both extremely accurate, reliable and compact. Both pistols are easy to conceal, however, some people prefer the Baby Glock as they do find it difficult to conceal the Glock 19 without thick layers of clothing. On the other hand, the Glock 26 is so tiny that it can easily be concealed and carried on a daily basis. However, it does have its shortcomings, as it doesn’t come with a capacity as big as the Glock 19 — though, we can use a Glock 19 magazine on a Glock 26 and solve that problem, too. It definitely is difficult to make a choice when deciding between the Glock 19 and the Glock 26. Mostly because they are so similar and their difference comes down to your own personal preferences. They both bring a lot to the table and are something we don’t hesitate calling a good buy. Not only are they reliable, easy to use and versatile, but they both come at an affordable price. Essentially, as we have stated earlier in the article, the main, if not the only, difference between these two pistols is their size. Some buyers will find the Glock 19 pistol a touch too big, while others will see the Glock 26 as a tad too small for them. All in all, for those that can’t seem to make up their minds, here’s what we recommend doing. It’s a good idea to try and handle both guns. In addition to that, trying to shoot them both will certainly help. So, we recommend going to the gun store and renting these pistols to test them out. Once you try them both for yourself, you will be able to confidently make the final decision. One thing is for sure, both guns are something you can’t regret buying. Both Glocks come at an exceptional quality. They are both very popular and it’s pretty clear why. Now it’s time for you to give this a quick thought and make a decision on which one of the two Glocks will be on your next shopping list. We’re certain that after reading this article you can rest assured that no matter which one you go for, you will have no regrets! 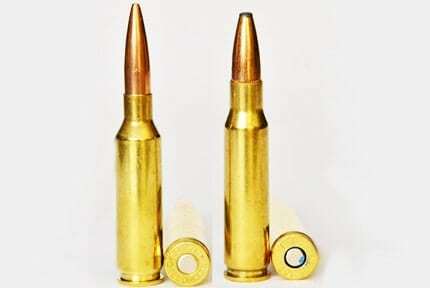 6.5 Creedmoor vs .308 Winchester - Which One Is The Best?